Reviewed by Yuri Robbers, Leiden University; Animal behaviourist and practicing Wiccan. Many people still think Witchcraft doesn’t go much beyond old hags flying on broomsticks. Maybe such a view suffices when reading fairy tales to children, but in daily life it most certainly does not. Witchcraft – or Wicca as it is nowadays known – is an old yet vibrant tradition, and has grown to adapt to the changing times. There is a lot beyond the broomstick, and Morgana Sythove does a great job presenting some of it. 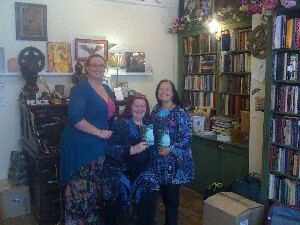 The subtitle of the book is ‘Thoughts on the Philosophy of Wicca’. Often books on the philosophy of religious or spiritual traditions stay on the well-trodden paths of ethics and a description of the world or worlds. Morgana treats those subjects in depth, but she goes further. She not only deals with the outer worlds, but also with the inner worlds, often quoting from or referring to other books and thus showing the strong foundation that underlies her own work. She also does not shrink from delving somewhat into theory of knowledge and history of thought, explaining how people have come to know the philosophical ideas she explains. 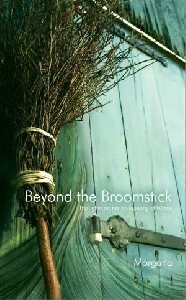 Beyond the Broomstick first covers the concepts of polarity, deity, the Goddess and her various aspects, the God and the four elements. With this strong theoretical grounding, Morgana proceeds to the last chapter which deals with the practical application of these concepts. 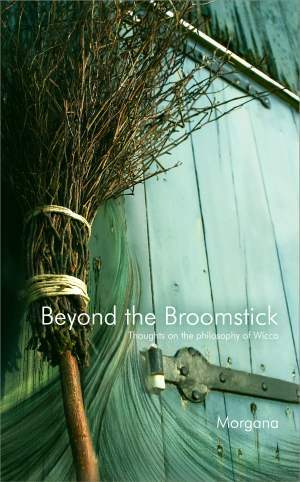 Beyond the Broomstick is a thorough explanation of Wiccan philosophy that gives a good introduction for the newcomer and a sound overview with proper citations which may be a good starting point for the initiated witch wanting to delve a little deeper. Morgana manages to deal with theoretical issues without getting dogmatic, and with pragmatic issues without losing touch with the divine. Her book shows that even though Witchcraft may not be for everyone, it most definitely is a firmly grounded spiritual tradition. An old religion which has not remained stuck in the past, but evolved and adapted through its polarities, to remain a strong and vibrant form of spirituality, well-suited to this day and age, and with lots of potential for growing with us in to the future. 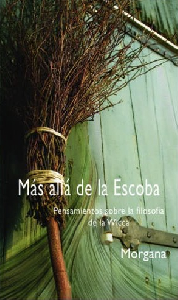 “I have read many books about Wicca – most of them the so called Wicca 101. The major problem of those books was that they were basically about magic, not about Wicca, as religion, as a Craft – the Craft of the Wise. As a mystery religion, there are few things of Wicca that can be explained, instead of experienced (even though, there are a lot of thing that do enrich that ‘experience’), polarity, the God, the Triple Goddess and the elements, are the main ones of those few. 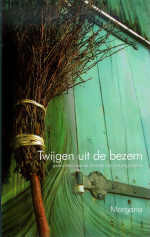 Beyond the Broomstick is in het verleden gepubliceerd als een serie artikelen in het tijdschrift Wiccan Rede tussen 1980 en 1982. De serie werd vertaald in het Nederlands en als boekje uitgegeven in 1982. Morgana schreef deze achtdelige serie als introductie tot wicca, met de nadruk op het filosofische gedachtengoed. De centrale concepten zoals polariteit, de drievoudige godin, de god en de vier elementen worden in duidelijke taal beschreven. Prima voor beginners, en ook een goede bron voor degenen die behoefte hebben aan meer filosofische diepgang. Also available in Spanish, Polish, Turkish, German and Hungarian.